Dochter van de Korenaar is a Belgian microbrewery. The Dutch Ronald Mengerink runs his craft brewery in Baarle-Hertog. 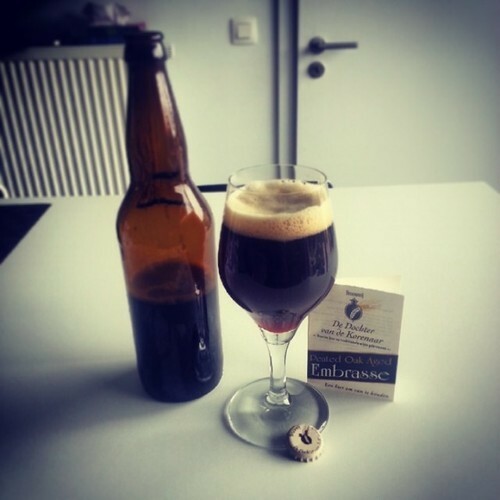 The name of the brewery is inspired by a quote of Charles V that was written down in the chronicles of the city of Mechelen: "Ik kan beter tegen het sap van de dochter van de korenaar, dan tegen het bloed van de druiventros". Loosely translated as "I’m a better match for the juice from the daughter of the ear of corn than for the blood of a bunch of grapes." Time for my very first beer review! 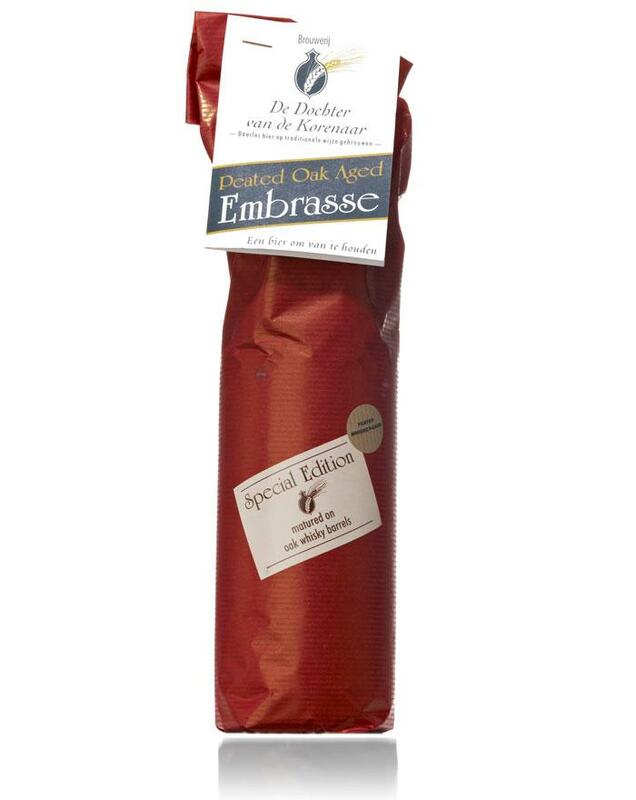 Colour: Embrasse is a dark beer with a red hue and a firm foamy head. It is best served between 10°C and 15°C. Nose: The nose is creamy. Sour cream, old leather and hummus or chickpeas. Lots of fruity notes from ripe strawberries and tropical fruit. I'm thinking of passion fruit. Taste: The sweetness continues on the tongue. Red fruit, honey and burned caramel. The Islay influences are getting a bit more tangible. A pleasant and lightly smoked beer with a good punch. Finish: The finish is bittersweet and mineral. PS: There are versions available matured solely on Ardbeg or Laphroaig casks!